In case you’re wondering what on earth WoO stands for, it is Werke ohne Opuszahl ( works without opus number). Beethoven’s unpublished works or those to which he gave no opus number were listed in a catalogue prepared in 1955 by Georg Kinsky a German musicologist and completed after the latter’s death by Hans Halm, a State Music librarian. This Trio was written probably in 1786 when Beethoven was only 15 and was found amongst his papers after his death and then published. It was written for Count von Westerholt who played bassoon, his pianist daughter to whom Beethoven was giving lessons, and his son who played flute, so very much a family occasion! The first movement opens with a falling octave and the announcement of the first theme. This is followed by the second theme on piano featuring offbeat rhythms, something Beethoven would develop in his mature works with thrilling and dynamic effect, anticipating the rhythms of jazz and later rock music. The development features a striking move into the minor and a pensive passage on the bassoon leads into the recapitulation. A decisive cadence closes the movement. The bassoon states the gentle theme of the Adagio. Triplet rhythms lead into a beautifully modulating passage, and in a mysterious transition, with long pensive notes on the bassoon and a arpeggio on the piano, we are led into the third movement. The cheerful theme undergoes seven variations : the first features offbeat rhythms starting delicately and becoming more robust. The second is marked by fast triplets on the bassoon, followed by the third with rather march like dotted figures on the flute and piano. The fourth again focuses on the bassoon with its flowing triplets and piano accompaniment. Fast semiquavers open the fifth, piano dominating, then leading into light and graceful staccato notes on the flute. The sixth again has a march like feel and carefree mood, while in the seventh we hear the theme return in its original form but now faster. This leads to a short coda, featuring delightful flourishes on the piano. As a child growing up in Paris Debussy had a somewhat unsettling time in the period of the Commune of 1871 when his father was imprisoned for revolutionary activities. However his music education gave Debussy purpose and early success as a pianist. His studies in music theory and composition soon overtook the Piano in importance and in 1883, aged 19 years he won the second Prix de Rome in composition. Syrinx was written as incidental music to be played off-stage in “Psyche” a play by Gabriel Mourey. The free style of the flute solo portrays the pursuit of the nymph Syrinx by the God Pan. Syrinx in an effort to escape from Pan’s attention turns herself into a water reed. Pan cuts some reeds to make them into a set of pipes, thus killing his love. Originally the piece was called Flute de Pan . In 1927 it was finally published and named Syrinx. Syrinx is a late piece in Debussy’s life, written only 5 years before his death. It is unconstrained by conventions of structure, tonality and rhythm and though it is notated in the standard way the listener’s impression is of a fluid, chromatic and emotionally charged piece. It could be improvised for all we know, if it was played off-stage as originally conceived. The chromatic quality destroys any clear tonality and in the 35 bars the emphasis is on whole tone scalic movement rather than major or minor tonality. The opening note Bb is the most important pitch, repeated frequently in two registers and often at the top of a falling sinuous phrase moving to Ab and Gb hence the “whole tone” identification. This very short atmospheric and seemingly wayward piece works its way lower and lower in pitch and comes to an end with a final whole tone scale from B natural to Db. This is at the lower end of the Flute’s compass and demonstrates a very different colour from the opening phrase. Poulenc came from two very contrasting backgrounds: that of the pious Roman Catholic family of his father, who was joint owner of a successful firm which manufactured pharmaceuticals, and that of his mother, a pianist and whose family had wide artistic interests. Poulenc attributed the contrasts in his nature to this background, and the critic Claude Rostand described him as ” half monk and half naughty boy”! His father refused to let him attend a music college and so he received a conventional school education. His main musical education came from his piano teacher Ricardo Vines and later composer colleagues like Georges Auric and Erik Satie. Poulenc wrote this sonata shortly after finishing his opera ‘Dialogues des Carmélites’. It was a commission from the Elizabeth Sprague Coolidge Foundation and dedicated to the memory of this remarkable woman (she died in 1953), who as well as being an accomplishes pianist, was a patron of chamber music and helped establish its status in America, where orchestral music ruled. Her many commissions included Bartok’s 5th String Quartet and Britten’s Ist. Poulenc’s sonata was written for the flautist Jean-Pierre Rampal, to whom he said in relation to the commission ‘ I never knew her, so I think the piece is yours’. With the composer on the piano, they gave the first performance in June 1957 at the Strasbourg Music Festival. The little flourish on the flute that opens the sonata becomes a crucial motif throughout the piece. After some development of the opening theme, complete with Poulenc’s characteristic and delightful shifts of harmony, the piano introduces a contrasting slower section in a sterner mood. The opening returns, and after a new variation, the music calms down, preparing us for the central movement. This opens with a serene and beautiful melody on the flute. After a more dramatic central section building to a climax, the opening theme returns, now calmer. The Presto opens in a lively and playful mood, leading into a more lyrical theme and teasing hints of the motif we heard right at the beginning of the piece. After a dramatic pause and a moment of quiet reflection, the opening of the movement steals in and leads to a brief coda. Dutilleux , who came from a very artistic and musical background, studied at the Douai Conservatory near Lille and then the Paris Conservatoire. He didn’t write a large number of works, being severely self-critical, but these include two symphonies, a concerto for cello and one for violin, some chamber works, pieces for piano, some vocal works, a ballet and some film scores. He followed his own individual path and refused to be associated with any school of composers. He was very critical of the more radical developments in music such as serialism and rejected the dogma and authoritarianism associated with it. For this he was looked down on by the snobbish avant-garde and figures like Pierre Boulez refused to perform his works! His own interests were wide and varied and some of his works reflect his interest in jazz and the world of art – his orchestral piece for example ‘Timbres, espaces’ was inspired by Van Gogh’s ‘Starry Night’. The Sarabande et Courtège was written as the first of a series of exam pieces he wrote for the Paris Conservatoire between 1942-50. The Sarabande ( defined as a slow stately dance in triple time) marked Assez lent, opens with a gentle steady paced theme. The tempo speeds up leading to a short bassoon cadenza, which in turn leads into a variation and development of the opening music. After a brief silence we launch straight into the Courtège, marked Mouvement de marche. This is definitely not a funereal procession but one in an almost jaunty and slightly jazzy mood with a staccato bass figure on the piano and some swung rhythms on the bassoon. We arrive at a long cadenza on the bassoon marked ‘freely’, which begins slowly and gradually speeds up, leading to a very high note and the dramatic concluding bars. Weber’s musician father had ambitions for his son to match the achievements of the husband of Constanza Weber, Carl’s cousin. Though no Mozart, Carl Weber had an extensive and diverse influence over musical life at the start of the Romantic period. Wagner, Liszt, Mendelssohn, Mahler, Glinka, Stravinsky, Berlioz and Debussy admired his orchestral and operatic writing, and, as a conductor, he introduced sectional rehearsals and transformed the conductor’s role from mere time-beater to one who moulds the performance. His huge hands helped him become a formidable pianist, and some of his chords “cannot be played by normal human beings” (Harold Schonberg). As a composer, he was precocious: an opera he wrote aged 14 was produced in Freiburg, Vienna, Prague, and Saint Petersburg, and four years later in 1804 he was appointed Director of the Breslau Opera. He was frustrated by his inability to reform that institution, and in 1806 while recuperating from an accidental dose of “engraver’s” (nitric) acid, he saw his reforms set aside and he resigned. He became private secretary to the king’s brother in Württemberg. There his father embezzled huge sums and Carl himself fell heavily into debt; they were both imprisoned and then banished. Undeterred he became director of the Prague theatre, successfully carrying out there his previously-frustrated anti-Italian reforms. In 1817 he moved to the Dresden theatre as director of the German repertoire (someone else did the Italian) and stayed there for the rest of his life. Today’s trio was composed in the early years at Dresden as he was starting to compose his best known work, the opera Der Freischütz. The trio was originally written for piano, flute and cello, probably in memory of convivial musical evenings in Prague with a couple of flute- and cello- playing friends. An inauthentic substitution of violin for flute followed after Weber’s death, but the substitution of bassoon for cello is relatively recent. The title of the third movement – The Shepherd’s Lament – alludes to a 1802 poem by Goethe that was frequently set to music. The actual theme that Weber uses (illustrated) is lifted from a song written in 1802 by a minor composer Wilhelm Ehlers. The Finale contains at least two allusions to motifs in Der Freischutz. Beethoven was in his late 20s and living in Vienna when he wrote his six Op 18 string quartets. Uneducated (‘I do everything badly except compose’), rough-mannered, but with an alluringly intense personality and undoubted musical genius, he had managed to secure the patronage, both as composer and pianist, of Vienna’s cosmopolitan aristocracy. Chamber music was an important part of their diet, and Beethoven composed piano trios (Op 1) and string trios (Op 9), violin sonatas (Op 12) and piano sonatas (Ops 2, 10 & 14) before publishing in the ‘serious’ medium of the string quartet. The great success of his three Op 9 string trios, published in 1798, encouraged him to accept a commission from Count Lobkowitz for six quartets. As models he had Mozart, who had died the year that Beethoven arrived in Vienna from Bonn, and Haydn, from whom Beethoven (“the Great Mogul” as Haydn called him) had briefly had lessons in composition. Whilst their influence is undeniable, Beethoven in these ‘early’ (he was after all 29) chamber works already has his own voice, with tantalising seeds of his later styles clearly apparent. At the same time as commissioning Beethoven, Lobkowitz had also commissioned 6 quartets from Haydn. Perhaps recognising the quality of Beethoven’s works, and not wishing to subject himself in Viennese soirées to a direct comparison with his erstwhile pupil, Haydn only wrote two of the requested six quartets (Op 77) and completed no more quartets in his lifetime. The striking opening phrase of the Allegro con brio (illustrated) is a speeded-up version of the opening of an earlier (Op 3) String Trio’s Adagio (illustrated). Its simple, easily recognisable shape helps the listener follow the upcoming complex contrapuntal writing – perhaps a cunning ploy by Beethoven to help win over his audiences to this revolutionary music. The burial vault scene in Romeo & Juliet is known to have provided the inspiration for the extraordinarily dramatic slow movement. The long melodic line of the opening, and indeed the dramatic model for the movement as a whole, perhaps benefitted from the lessons in vocal composition that Beethoven was having at that time from Salieri. However, no-one but Beethoven could have written this movement. Unprecedented gestures such as the unbearably long silences building to the final climax are pure Beethoven at his most daring. The Scherzo is no comfort after the death throes of the Adagio, with its odd phrase-lengths and swerving harmonies – especially taxing for the first violin in the Trio. triumphant final Allegro. The tumbling triplets of its opening (illustrated) are again an echo of an earlier String Trio (Op 9 no 3 Presto; illustrated), and, like the opening of this quartet’s first movement, provide an easily recognisable motif for the listener as Beethoven plies us with fugal flourishes. Mládí (Youth) was written in the middle of Janáček’s immensely productive last decade. His productivity had both political and personal roots: Czechoslovakia had become independent in 1918 and the previous year Janáček had met and fallen in love with the much younger Kamila Stösslová. Kamila is explicitly associated with the gypsy femme fatale of his song cycle ‘The diary of one who disappeared’ (1917), as well as with the heroines of his operas ‘The Cunning Little Vixen’ (1922-3) and ‘The Makropoulos Affair’ (1923-5). The wind sextet Mládí (Youth), along with his first string quartet, was written around the same time as these operas, and shares with them the technique of shaping individual phrases to the prosody of the speaking voice. The opening phrase captures the phrase ‘Mládí, zlaté mládí!’ (‘Youth, golden youth!’) and recurs throughout the work especially in the first and last movements. The third movement borrows a theme from a short work Janáček composed earlier in 1924 for piccolo, bells and tambourine ‘March of the Blue Boys’, recalling his time as a chorister in the Old Brno Monastery. Mládí’s first performance, in Brno, was given by teachers at the Conservatory there and was plagued by mechanical failure: the oboe had to effect an impromptu repair; he was more successful than the clarinettist who, because of a broken spring, could only pretend to play. Janáček’s understandable anger abated a month later with a successful and popular performance in Prague by members of the Czech Philharmonic. Kryštof Mařatka’s (2015) arrangement of the wind suite is dedicated to the Zemlinsky quartet. Here he comments on some of the problems: “Throughout my work, it was necessary to take care of the stylization, that is to say to the way to express the musical speech and to adapt it, if necessary, so that it is faithful to the composer’s specific writing style for string quartet; this sometimes comes at the cost of modifying certain elements. [For example,] in the 1st movement, a dramatic passage for solo horn is reinforced by successively adding to a cello solo the other instruments of the quartet, in unison and octave”. Coming after his ‘Liederjahre’ of 1840 and the subsequent ‘Symphonic Year’ of 1841, 1842 was Schumann’s ‘Chamber Music Year’: three string quartets, a piano quartet and the particularly successful piano quintet. Such creativity may have been due to Schumann at last winning, in July 1840, the protracted legal case in which his ex-teacher Friedrich Wieck, attempted to forbid him from marrying Wieck’s daughter Clara. They were married on 12 September 1840, the day before Clara’s 21st birthday. 1842, however, did not start well for the Schumanns. Robert accompanied Clara at the start of her concert tour of North Germany, but he tired of being in her shadow, returned home to Leipzig in a state of deep melancholy, and comforted himself with beer, champagne and, unable to compose, contrapuntal exercises. Clara’s father spread an unfounded and malicious rumour that the Schumanns had separated. However, in April Clara returned and Robert started a two-month study of the string quartets of Haydn, Mozart and Beethoven. During June he wrote the first two of his own three quartets, the third following in July. He dedicated them to his Leipzig friend and colleague Felix Mendelssohn. The three quartets were first performed on September 13, for Clara’s birthday. She thought them ‘new and, at the same time, lucid, finely worked and always in quartet idiom’ – a comment reflecting Schumann the critic’s own view that the ‘proper’ quartet style should avoid ‘symphonic furore’ and aim rather for a conversational tone in which ‘everyone has something to say’. In Schumann’s third quartet his wonderful lyrical gift sings out to us, and we are fooled by his rhythmic playfulness. 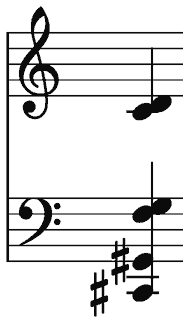 The brief introductory Andante opens with a sighing, falling fifth (*, illustrated). It sets the mood and also opens the main Allegro and recurs throughout it in various guises. Schumann’s rhythmic trickery pops up in the second subject of the Allegro (illustrated). After a brief silence, the upper strings start their off-beat accompaniment just before the cello enters with the theme. Not only is this deceptive for the listener, but it is a notorious pratfall for the unwary amateur player. Another rhythmic trick starts the second movement (illustrated). Here everyone enters on the last quaver of the bar, but the tune is tied over as if the first note were really the downbeat. The theme is a decorated descent over an interval of a fifth. There follows a set of entertaining variations culminating in one of huge and relentless energy with the accent resolutely on the offbeat, dominated by leaps that rework the opening falling fifth. A calming coda prepares us for the beautiful Adagio molto (illustrated), whose opening theme is based on a rising figure that again embraces an interval of a fifth. The serenity of this idea is twice challenged by a threatening transformation in the minor, but serenity prevails. There are more rhythmic tricks in the Finale. The rustic dotted theme starts with an accented up-beat which sounds like a down-beat as if the rustics are tipsy. The movement is a Rondo with the opening episode alternating with a variety of others, including a “Quasi Trio” – compensation for the absence of a traditional Minuet/Scherzo & Trio movement. The three pieces in this concert are all examples of how a single idea can permeate a musical work, giving it – without the listener being aware- an integrity lacking in randomly chosen movements. The Haydn quartet is built on scales, the Dutilleux on its initial 6-note chord and the Beethoven on just two pairs of semitones. In 1795 Haydn returned from his spectacularly successful visits to England to the relatively light duties prescribed by the new Esterházy Prince Nikolaus II. Nikolaus had abandoned his father’s palace at Esterházy, sacked its extensive musical establishment, and divided his time between Eisenstadt and Vienna. Haydn was kept on, but his main duty was just to write a Mass for the Princess’s name day. He was free to accept other commissions. One such came from Count Joseph Erdödy, the Hungarian Court Chancellor. Although Erdödy’s father had employed an orchestra to play in their family’s three palaces, on inheriting the title in 1789 his son responded both to contemporary taste and financial stringency by replacing it with a string quartet. In 1796 he placed a generous commission with Haydn for six quartets. The resulting ‘Erdödy’ quartets are a triumph, perhaps the pinnacle of Haydn’s long quartet-writing career. Ever since Haydn had invented the mature string quartet in his Op 20 group of 6 quartets he had been experimenting with its form. Today’s quartet is no exception. The first movement is a leisurely Allegretto cast as a theme and variations. The theme (illustrated) is a sequence of ‘laconic phrases until the lilting expansive cadence of its final bars’ (Rosemary Hughes). Notice that each of the illustrated four initial phrases contains three notes of a rising scale. This scale motif is central to the whole quartet. Three variations at the leisurely Allegretto tempo follow before the starting gate is raised on an Allegro fugue which then metamorphoses into a final variation. Haydn is disingenuous with the Fantasia second movement. Unlike Mozart who rarely strayed outside key signatures of 3 sharps or flats, Haydn was given to writing in lots of them. This movement is really in B major – 5 sharps, but it starts (illustrated) with no key signature albeit with the notes liberally sprinkled with sharps. Was this a riposte to complaints from his players about dreadful keys, or is the lack of key signature granting him licence for his upcoming fantastic explorations of the key-space? These explorations are facilitated by a series of four rising scales (echoing both the start of this movement and of the first movement) first on the violin and then on the cello. They lead the music off all around the block to Ab before a second lot of cello scales brings us home to B major and a proper key signature. The second half gives us a serene and poignant development of the theme. Scales continue to figure in the scherzo-like Menuetto, and return in spades for its ‘Alternativo’ trio section which consists of almost nothing else: first rising, then falling. Four falling scales also make up the theme of the spirited final movement (illustrated). Dutilleux’s only string quartet ‘Ainsi la nuit’ is a good piece to judge whether you are with Salonen or Hensher. Dutilleux’s sound-world builds on his compatriots Debussy, Ravel and Messiaen but also includes Bartók and Stravinsky, with a preference for the modal and atonal over the simple tonal. Many of the quartet’s intriguing sounds are based on the opening six-note chord (illustrated) which particularly contains the intervals of the fifth (C#-G#, F-C) and the second (F-G, C-D). The seven short movements explore different string techniques: pizzicato, glissando, harmonics, very high and very low, very quiet and very loud. Dutilleux, like Sibelius, has in his own words “a tendency not to present the theme in its definitive state at the beginning. There are small cells which develop bit by bit”. So, see what you think and do talk about it in the interval. Beethoven’s last three years (1824-7) were predominantly occupied in composing what we now refer to as his late string quartets: Ops 127, 132, 130 (with its original ending the Great Fugue Op 133 ), 131 and 135. In November 1822, it had been 12 years since he had completed a quartet – the F minor Op 95 Serioso – and his interest in quartet writing might never have seriously revived had he not had a commission for “one, two or three quartets” from Prince Nicholas Galitzin, an excellent young amateur cellist from St Petersburg, living in Vienna. It is said that the commission almost went to Weber, whose recent opera Die Freischütz, had excited Galitzin; but fortunately Karl Zeuner, the viola player in Galitzin’s own quartet, nudged him towards Beethoven instead. Completing the Missa Solemnis and the Ninth Symphony occupied Beethoven for another eighteen months, but he finished three quartets for Galitzin, Ops 127, 132 and 130, in February, July and November of 1825. Op 131 followed, uncommissioned, immediately after. The germinal idea of Op 132 is a pair of semitones (G#-A, E-F) in the cello’s opening phrase (illustrated), which is joined by the other three instruments playing variants of the same motif. This slow introduction is broken by rapid semiquavers from the first violin leading into an important motif (illustrated) which starts with one of the opening’s semitone pairs (E-F). The dotted rhythm (under y) provides a rhythmic engine to the movement and ends with the other semitone pair (G#-A). The lilting opening of the following movement – a sort of Minuet and Trio – is again rich in pairs of semitones. Its mixture of the gentle and the acid always surprises, as does the curious Trio section with its bagpipe-like drone, its tricky part for the viola and the violent buffeting of a section in duple rather than triple time. …only to be woken by a disturbing March, with stresses on the wrong beats and a sinister fading of the motif in the second bar. This March is very soon interrupted by a recitative from the first violin. It is similar in form to the cello/bass recitatives in the Ninth Symphony, but here the mood is anguished, terrified, culminating in what Joseph Kerman describes as a scream as the violin holds a high F and then cascades down to a desolate bar of the semitone E-F that leads into the final movement. The E-F semitone forms the second violin’s neurotic accompaniment (illustrated, under x), to the first violin’s restless theme with its G#-A semitone (under y). A gentler theme with decorative trills brings some hope, but wild cross-rhythms augment the tension culminating in an anguished outburst high on the cello as the tempo hits Presto. But the key then shifts to a radiant A major, and the quartet ends in a mood of joyful optimism. Angus Watson’s “Beethoven’s Chamber Music in Context” was helpful in preparing these notes.